The body and head of the Large Hairy Armadillo are extensively armoured with thick bony plates, as is typical of all armadillos. 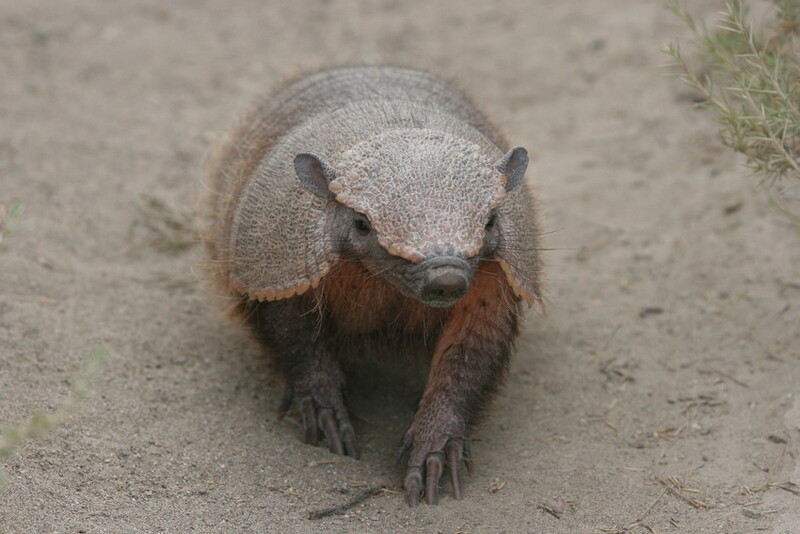 The Large Hairy Armadillo is the largest representative of the genus Chaetophractus. They have hair that projects from the scales of the armour as well as a hairy underside. They have strong forelegs and large, sharp front claws for digging. The Large Hairy Armadillo is primarily nocturnal and is a prolific digger. They dig burrows for shelter during the day and when threatened will run towards the nearest hole, or attempt to burrow into the ground. They feed on ants, worms and other invertebrates that they forage for by digging in the ground. Females usually give birth to twins after a gestation period of 60-75 days. The young are weaned at two months old and sexual maturity is reached at around nine months old. The Large Hairy Armadillo has been known to live for over 23 years in captivity. The Large Hairy Armadillo has a wide distribution across a variety of habitats, including grasslands, savanna and forest. 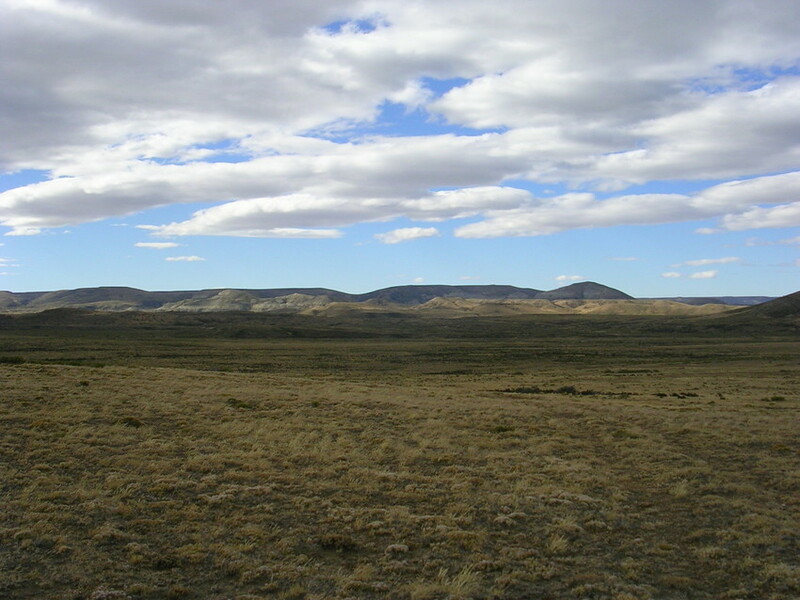 The natural range of the species extends across the Gran Chaco of Bolivia, Paraguay, and Argentina as far south as Santa Cruz, Argentina and Magallanes, Chile. The Large Hairy Armadillo occupies a wide distribution and population sizes are presumed to be large, but the species is threatened by habitat destruction and hunting. Dried Armadillo shells are traditionally used in the production of Andean stringed musical instruments known as Charangos, contributing to population declines. Where present nearby areas of human development and agricultural areas, the Large Hairy Armadillo is persecuted as a pest species and animals are often killed on roads or by dogs.